RAM Mechanical Services, Inc. is a Certified Honeywell Automated Control Specialist, trained and tested on Tridium AX controls. Honeywells Webs AX provides physical protection for your assets whether a single building or a large multi-site application. It is a full integrated building automation system that is accessible through your local area network or the internet and allows access to your site(s) from anywhere in the world. Full graphics display, scheduling, alarming, trending and real time display are only a few of the features available with this control system. Putting intelligence into a building doesn’t add cost long-term. 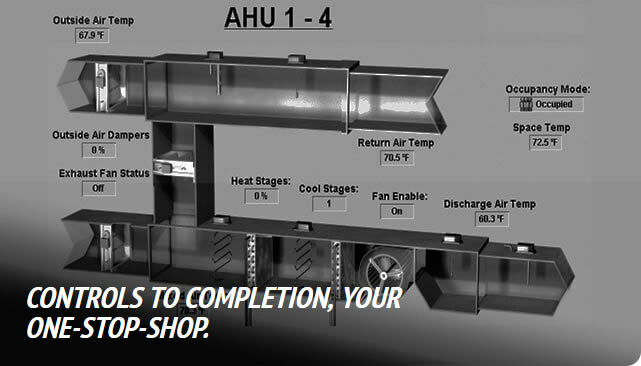 It delivers measurable value and return on investment at the install stage of a building. With Departments often vying for limited resources, working together, towards the same goal delivers many benefits. Honeywell’s application expertise with RAM’s design engineering know-how delivers outstanding efficiency.